Robot is the application of multidisciplinary and technical combination in recent years with the rapid development of artificial intelligence. Humanoid robot becomes one of the hotspots of research because of its difficulty such as the limitation of cognition on environment and itself, the large number of DOFs and the under-actuation. So there is still a long distance from its theoretical research to practical application. In this paper some key technologies about humanoid robot are presented including simultaneous localization and mapping (SLAM), optimal design and simulation, footprint planning and modeling, stable control and application, object recognition and tacking. Both existing achievements and future trends are discussed to provide reference for further investigation. 吴伟国. 面向作业与人工智能的仿人机器人研究进展[J]. 哈尔滨工业大学学报, 2015(7): 1-19. 弋英民, 刘丁. 动态环境下基于路径规划的机器人同步定位与地图构建[J]. 机器人, 2010(1): 83-90. Smith, R. and Cheeseman, P. (1986) On the Representation and Estimation of Spatial Uncertainty. The International Journal of Rbotics Research, 5, 56-68. Smith, R., Self, M. and Cheeseman, P. (1988) A Stochastic Map for Uncer-tain Spatial Relationships. 4th International Symposium on Robotics Research, Santa Clara, 467-474. Smith, R., Self, M. and Cheeseman, P. (1990) Estimating Uncertain Spatial Relationships in Robotics. Autonomous Robot Vehicles, 1, 167-193. Durrant-Whyte, H.F. (1988) Uncertain Geometry in Robotics. IEEE Journal of Robotics and Automation, 4, 23-31. Crowley, J.L. (1989) World Modeling and Position Estimation for a Mobile Robot Using Ultrasonic Ranging. IEEE International Conference on Robotics and Automation, Scottsdale, 2, 674-681. Durrant-Whyte, H. and Bailey, T. (2006) Simultaneous Localization and Mapping: Part I. IEEE Robotics & Automation Magazine, 13, 99-110. Eustice, R.M. (2005) Large-Area Visually Augmented Navigation for Autonomous Underwater Vehicles. Massachusetts Institute of Technolo-gy, Cambridge. Kaess, M. and Dellaert, F. (2009) Covariance Recovery from a Square Root Information Matrix for Data Association. Robotics and Autonomous Systems, 57, 1198-1210. Booij, O., Zivkovic, Z. and Kröse, B. (2009) Efficient Data Association for View Based SLAM Using Connected Dominating Sets. Robotics and Autonomous Systems, 57, 1225-1234. Williams, B., Cummins, M., Neira, J., et al. (2009) A Comparison of Loop Closing Techniques in Mo-nocular SLAM. Robotics and Autonomous Systems, 57, 1188-1197. Jauregi, E., Irigoien, I., Sierra, B., et al. (2011) Loop-Closing: A Typicality Approach. Robotics and Autonomous Systems, 59, 218-227. 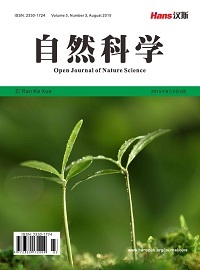 Li, H.P., Xu, D.M., Zhang, F.B., et al. (2009) Con-sistency Analysis of EKF-Based SLAM by Measurement Noise and Observation Times. Acta Automatica Sinica, 35, 1177-1184. Castellanos, J.A., Martinez-Cantin, R., Tardós, J.D., et al. (2007) Robocentric Map Joining: Improving the Con-sistency of EKF-SLAM. Robotics and Autonomous Systems, 55, 21-29. Movafaghpour, M.A. and Masehian, E. (2007) Poly Line Map Extraction in Sensor-Based Mobile Robot Navigation Using a Consecutive Clustering Algorithm. Robotics and Autonomous Sys-tems, 60, 1078-1092. Lee, J. and Ko, H. (2008) Gradient-Based Local Affine Invariant Feature Extraction for Mobile Robot Lo-calization in Indoor Environments. Pattern Recognition Letters, 29, 1934-1940. Bakar, M.N.A. and Saad, A.R.M. (2012) A Mo-nocular Vision-Based Specific Person Detection System for Mobile Robot Applications. Procedia Engineering, 41, 22-31. Lee, D., Kim, G., Kim, D., et al. (2012) Vision-Based Object Detection and Tracking for Autonomous Navigation of Underwater Robots. Ocean Engineering, 48, 59-68. Doucet, A., Cz de Freitas, J.F., Murphy, K., et al. (2000) Rao-Blackwellized Particle Filtering for Dynamic Bayesian Networks. In: Proceedings of the Conference on Uncertainty in Artificial Intelligence, Morgan Kaufmann Publishers Inc., San Francisco, 176-183. Montemerlo, M., Thrun, S., Koller, D., et al. (2002) FastSLAM: A Factored Solution to the Simul-taneous Localization and Mapping Problem. In: Proceedings of the National Conference on Artificial Intelligence, American Association for Artificial Intelligence Menlo Park, Edmonton, 593-598. Hahnel, D., Brugard, W., Fox, D., et al. (2003) An Efficient FastSLAM Algorithm for Generating Maps of Large-Scale Cyclic Environments from Raw Laser Range Measurements. Proceedings of IEEE/RSJ International Conference on Intelligent Robots and Systems, Las Vegas, 27-30 October 2003, 1, 206-211. Pütz, S., Wiemann, T., Sprickerhof, J. and Hertzberg, J. (2016) 3D Navigation Mesh Generation for Path Planning in Uneven Terrain. IFAC-Papers on Line 49-15, 212-217. 林海峰, 王姮, 张华. 剥离去污机器人作业方式研究与仿真分析[J]. 科学技术与工程, 2014(6): 226-230. 王国彪, 陈殿生, 陈科位, 张自强. 仿生机器人研究现状与发展趋势[J]. 机械工程学报, 2015(13): 27-44. 张雷, 蒋刚, 戴强, 唐开强. 一种具有人造皮肤的仿人表情机器人结构设计[J]. 机械设计与制造, 2015(6): 206- 210. 刘昱, 王涛, 范伟, 王渝, 黄清珊. 气动人工肌肉驱动仿人肩关节机器人的设计及力学性能分析[J]. 北京理工大学学报, 2015(6): 607-611. 周冬冬, 王国栋, 肖聚亮, 洪鹰. 新型模块化可重构机器人设计与运动学分析[J]. 工程设计学报, 2016(1): 74-81. 陈赛旋, 沈惠平, 孙少明, 曹凯, 陈兵. 仿人机器人平地行走步态规划与仿真[J]. 机械设计, 2014(12): 31-36. 肖乐, 殷晨波, 谢从华. 仿人机器人在复杂环境中的行走研究[J]. 计算机仿真, 2015(4): 281-285. 朱大奇, 颜明重. 移动机器人路径规划技术综述[J]. 控制与决策, 2010(7): 961-967. GimId, M. (1987) Interactive Design of 3D Com-puter-Animatod Legged Animal Motion. IEEE Computer Graphics and Applications, 7, 39-51. Bakdi, A., Hentout, A., Boutami, H., Maoudj, A., Hachour, O. and Bouzoui, B. (2017) Optimal Path Planning and Execution for Mobile Robots Using Genetic Algorithm and Adaptive Fuzzy-Logic Control. Robotics and Autonomous Systems, 89, 95-109. Jun, J.Y., Saut, J.P. and Benamar, F. (2016) Pose Estimation-Based Path Planning for a Tracked Mobile Robot Traversing Uneven Terrains. Robotics and Autonomous Systems, 75, 325-339. Rösmann, C., Hoffmann, F. and Bertram, T. (2017) Integrated Online Trajectory Planning and Optimization in Distinctive Topologies. Robotics and Autonomous Systems, 88, 142-153. 夏泽洋, 陈恳. 仿人机器人足迹规划建模及算法实现[J]. 机器人, 2008(3): 231-237. Van de Panne, M. (1997) From Footprints to Animation. Computer Graphics Forum, 16, 211-223. Kuffner, J.J., Nishiwaki, K., Kagami, S., et al. (2005) Motion Planning for Hu-manoid Robots. Springer Tracts in Advanced Robotics, 15, 365-374. Lim, M.S., Oh, S.R., Son, J., et al. (2000) Human-Like Real-Time Grasp Synthesis Method for Humanoid Robot Hands. Robotics and Autonomous Systems, 30, 261-271. Goswami, A. (1999) Postural Stability of Biped Robots and the Foot Rotation Indicator (FRI) Point. The International Journal of Robotics Research, 18, 523-533. 付成龙, 陈恳. 双足机器人稳定性与控制策略研究进展[J]. 高技术通讯, 2006, 16(3): 319-324. Kajita, S., Nagasak, T., Yokoi, K., et al. (2002) Running Pattern Generation for a Humanoid Robot. Proceedings of the IEEE International Conference on Robotics and Automation, Washington DC, 11-15 May 2002, 2755-2761. Li, Z.H., Huang, Q., Li, K.J., et al. (2004) Stability Criterion and Pattern Planning for Humanoid Running. Proceedings of the IEEE International Conference on Robotics and Automation, 26 April-1 May 2004, 1059-1064. Muhammad, E. and Kenneth, J. (2007) A Physical Model and Control Strategy for Biped Running. Proceed-ings of IEEE International Conference on Robotics and Automation, Roma, 10-14 April 2007, 3982-3988. 绳涛. 欠驱动两足机器人控制策略及应用研究[D]: [博士学位论文]. 长沙: 国防科学技术大学, 2009: 1-2. 付成龙. 平面双足机器人的截面映射稳定性判据与应用[D]. 北京: 清华大学, 2006: 1-2. Roberts, L.G. (1965) Machine Perception of 3-D Solids. In: Optical and Electro-Optical Information Processing, 159- 197. Lowe, D.G. (1987) The Viewpoint Consistency Constraint. International Journal of Computer Vision, 1, 57-72. Huttenlocher, D.P. and Ullman, S. (1987) Object Recognition Using Alignment. Pro-ceedings of IEEE International Conference on Computer Vision, London, June 1987, 102-111. Lamdan, Y., Schwartz, J.T. and Wolfson, H.J. (1988) Object Recognition by Affine Invariant Matching. Proceedings of IEEE Conference on Computer Vision and Pattern Recognition, Ann Arbor, 5-9 June 1988, 335-344. Rothwell, C., Forsyth, D., Zisserman, A. and Mundy, J. (1993) Extracting Projective Structure from Single Perspective Views of 3D Point Sets. Proceedings of IEEE International Conference on Computer Vision, Berlin, 573-582. Murase, H. and Nayar, S.K. (1995) Visual Learning and Recognition of 3-d Objects from Appearance. 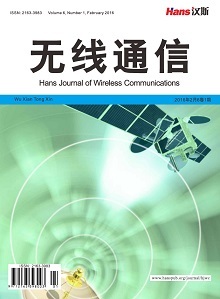 International Journal of Computer Vision, 14, 5-24. Mikolajczyk, K. and Schmid, C. (2005) A Performance Evaluation of Local De-scriptors. IEEE Transactions on Pattern Analysis and Machine Intelligence, 27, 1615-1630. Fischler, M. and Elschlager, R. (1973) The Representation and Matching of Pictorial Structures. IEEE Transactions on Computers, 22, 67-92. Lowe, D.G. (2004) Distinctive Image Features from Scale-Invariant Key Points. 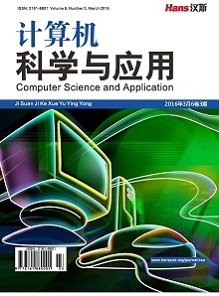 International Journal of Computer Vision, 60, 91-110. Mikolajczyk, K. and Schmid, C. (2004) Scale and Affine Invariant Interest Point Detectors. International Journal of Computer Vision, 1, 63-86. Doucet, A., Godsill, S. and Andrieu, C. (2000) On Sequential Monte Carlo Sampling Methods for Bayesian Filering. Statist Computer, 10, 197-208. Kwon, J. and Lee, K.M. (2009) Tracking of a Non-Rigid Object via Patch-Based Dy-namic Appearance Modeling and Adaptive Basin Hopping Monte Carlo Sampling. IEEE Conference on Computer Vision & Pattern Recognition, Miami, 20-25 June 2009, 1208-1215. Bouguet, J. (2000) Pyramidal Implementation of the Lucas Kanade Feature Tracker Description of the Algorithm. Intel Corporation Microprocessor Research Labs Tech Rep.
 Hua, C., Wu, H. and Chen, Q. (2006) A Pixel-Wise Object Tracking Algorithm with Target and Background Sample. Proceedings of International Conference on Pattern Recognition, Hong Kong, 20-24 August 2006, 739-742. Avidan, S. (2004) Support Vector Tracking. IEEE Transactions on Pattern Analysis and Machine Intelligence, 26, 1064-1072. Avidan, S. (2007) Ensemble Tracking. IEEE Transactions on Pattern Analysis and Machine Intelligence, 29, 261-271. Grabner, H. and Bischof, H. (2006) On-Line Boosting and Vision. Proceedings of IEEE Conference on Computer Vision and Pattern Recognition, 17-22 June 2006, 260-267. Grabner, H., Bischof, H. and Grabner, M. (2006) Real-Time Tracking via On-line Boosting. BMVC, 47-56. Grabner, H., Leistner, C. and Bischof, H. (2008) Semi-Supervised On-Line Boosting for Robust Tracking. Proceedings of the 10th European Conference on Computer Vision, Marseille, 12-18 October 2008, 234-247. Adam, A., Rivlin, E. and Shimshoni, I. (2006) Robust Fragments-Based Tracking Using the Integral Histogram. IEEE Conference on Computer Vision and Pattern Recognition, 17-22 June 2006, 798-805. Nummiaro, K., Koller-Meier, E. and Gool, L.V. (2003) An Adaptive Color-Based Particle Filter. Image & Vision Computing, 21, 99-110.